Any design is impossible without intelligence. 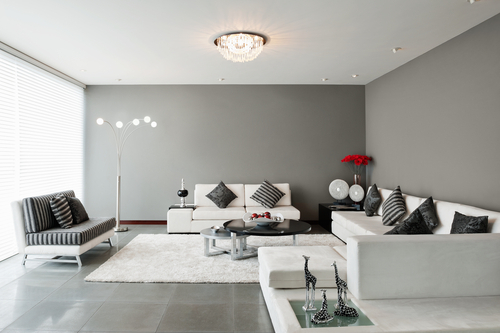 When it is about interior design, intelligence is the first pre-requisite in the Singapore market. The meaning of the phrase doesn’t only cover adding of colours to your house but also to renovate, to make the place a bit spacious and to change the theme of the house. This definition of interior design is applicable to both residential and business houses. As the job of the design demands high level of creativity and innovation, it is imperative that you pick the best firm that has a good reputation in the field. It is not possible for you learn everything in relation to the field. But you can certainly learn some useful things which can be helpful for you to pick one of the most efficient and reputed designer in your locality. This article gives you the basic knowledge about what you need to do when you are looking for an interior design expert. It certainly does matter whether you are looking for residential or commercial design of your interior. Some of the firms might have expertise in one of the either but not the other. It is better to go through the service profile of the firm thoroughly. Some of the well-established firms deliver various commercial services such as consulting services, renovation of the whole architecture, installation of various systems like fire safety, racking, elevated floor system, door system, security system and many more. Apart from that they can make partition in your office for better management purpose and they can also make furniture as per your requirements. Whether it HDB flat or condominium, the service providers can provide your services pertaining to different types of architectural changes that you wish to bring in. Apart from that they provide services through which they can install innovative and common systems in your residence. Some of the installations include plumbing, carpentry, intelligence system, and electrical system. Two qualities of professionals which make them the best professionals in the field are expertise with years of experience and diligence with the will to work. It is quite hard to know from the company name about its professionals unless the company itself advertises about its experts. A good company will always want to convey you the message that it has really great employees. In fact, you can know about the professionals really well when you hire them. A good trait of the highly acclaimed professionals is that they listen to you whatever you say. They make use of your direction and mix up with their experience to produce the best that you are looking for. If don’t get this assurance while hiring the professionals of a firm, you should drop your plans of selecting the specific agency or firm. There are a number of firms which provide you high-end solution in exchange of high-end money. There are very few and selected companies which can offer you high-end services or solutions that permit your budget. Good firms always work as per the budget sanctioned by the house owner. It is not that they make designs that you won’t like but it means that they make optimum utilisation of the resources they get to spend. Apart from that the firms don’t charge any extra fees beyond the quotation fees. Adding to that, some of the reputed firms offer you utmost flexibility for paying your bills to the designer firm. You get the leeway to pay the bills through EMI scheme. Some of the firms have partnered with big financing agencies in Singapore to finance you for the renovation project. 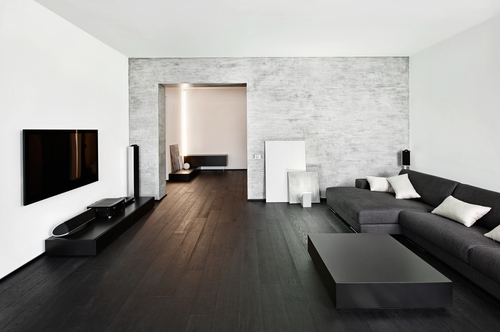 Time is the most valuable aspect of interior design in Singapore that you need to consider. Most of the firms intentionally delay your project because of various reasons. It can be the lack of proper resources or it can be lack of professionals to conduct the job. Some of the firms hire professionals from other firms for the job because they don’t have full time professionals in their firms. You need to stay away from these firms. You need to make a background check of the firms while hiring these for your jobs. Full time employees and resources are the main factors that can save a lot of time. If you are willing to compromise time with money than it is your choice but you should never compromise time with quality. This is an important aspect of interior design. Diversity comes through the capability to innovate. You would never prefer the same design that your neighbour has. In order to get that you should pick the already available designs available in the catalogue of the firm. Then you can go about making necessary changes in your design. You can talk to the professionals at the firm beforehand. You should report to the firm manager if you see any deviation from the already preset plan. Apart from that you should keep a close tab on the work being done by the professional from time to time. You should remember that the true sense of innovation is reflected when the designs vary from one another. This is completely dependent on the competency of the professionals working on the project. It is not a product that you will get satisfaction upon using it in one sense. In other sense it is a product that should give you the much needed satisfaction upon completion of the project. This guarantee is offered to you by the firm from the very beginning of the work. This reflects the confidence of the firm to deliver you high quality interior design. From the very beginning you get the sense that you will be satisfied after seeing the work of the firm. The project is worth value for money and time. For most part of your renovation or interior design project, you hardly need to do anything. Everything lies in picking the right type of service provider that meets all of your needs.